At a recent meeting at the United Nations, UN and UNICEF officials met with NGOs including Red Cross, food and peacekeeping groups, to discuss setting up a network of humanitarian uses for drones and to inform, educate and expose all to possible uses. The UN meeting was initiated to show UN officials what is going on out there, how the challenges are being met, what rules, regulations and code of conduct is required, what fears and concerns have been expressed, and what humanitarian uses can be addressed by the use of aerial robots (drones). 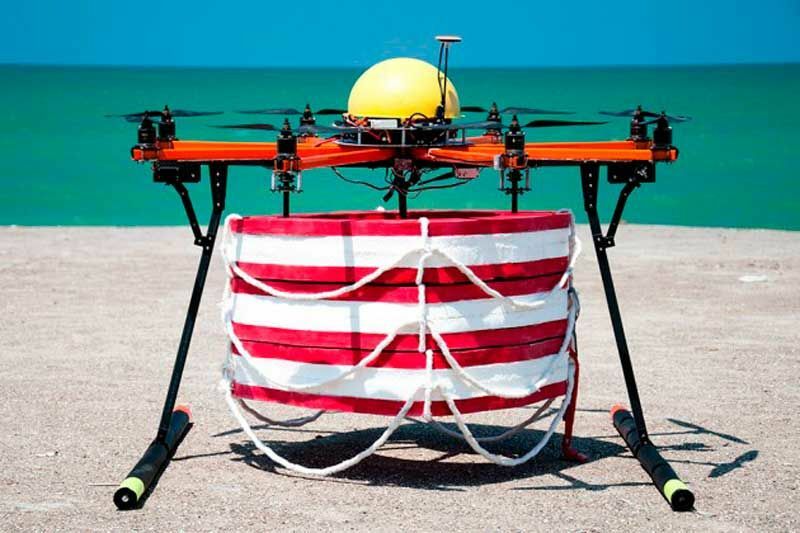 Bloomberg Businessweek Magazine featured a new lifeguard-launched life-preserver dropping copter from RTS Labs. A video shot in the Caspian Sea by Iranian inventor Amin Rigi shows the copter reaching a swimmer in 22 seconds, four times faster than a lifeguard just one of many novel humanitarian uses of non-lethal drones. A Humanitarian UAV Network has been established to share information and resources — even a Flipboard section has been set up on the topic! Patrick Meier spearheaded the UN meeting and is the author of a new book, Digital Humanitarians: How big data is changing the face of humanitarian response, which will be available early in 2015. The chapter descriptions are right out of the global news: Crowd Computing Social Media; Crowd Computing Satellite and Aerial Imagery; AI for Disaster Response; Verifying Big Data with AI; and Dictators versus Digital Humanitarians.